I engaged in Jinjacho Fukuoka branch’s Ofuda project. FYI, Jinjacho is an association of Shinto shrines and Ofuda means a kind of amulet or talisman, issued by a Shinto shrine. 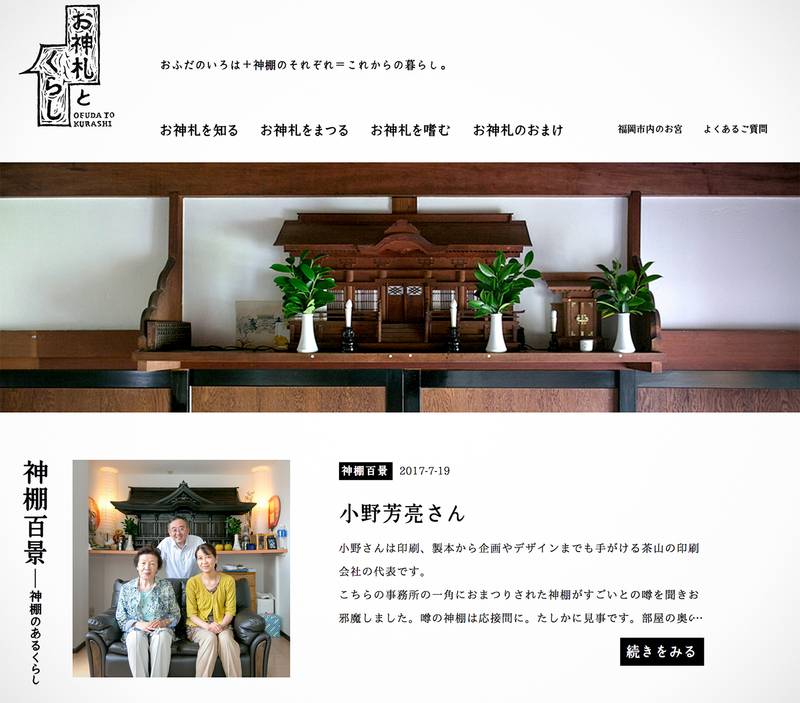 This time, our project team launched a website “OFUDA TO KURASHI” for a presentation of life with Ofuda as one option in our lifestyle. Actually, life with Ofuda is a little old style. Ofuda is one of unfamiliar items for young people nowadays, but I think that it is cool if we look at that from another point of view. One day, when I entered a small restaurant, there was an Ofuda space. It looked hip for me. On a different day, I found Ofuda at my friend atelier with modern interior. I felt it somewhat chic again. That may be because of my interests for Japanese culture or a sense which Japanese originally have had since ancient times. I don’t know whether it is right or not, but I thought that it can be a trendsetting item with my intuition. 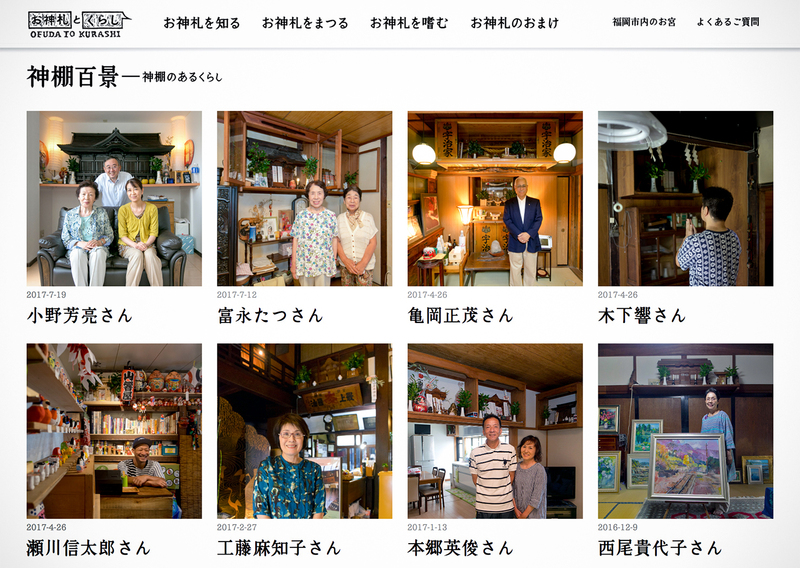 So, we made a special site for showing diverse lives with Ofuda. 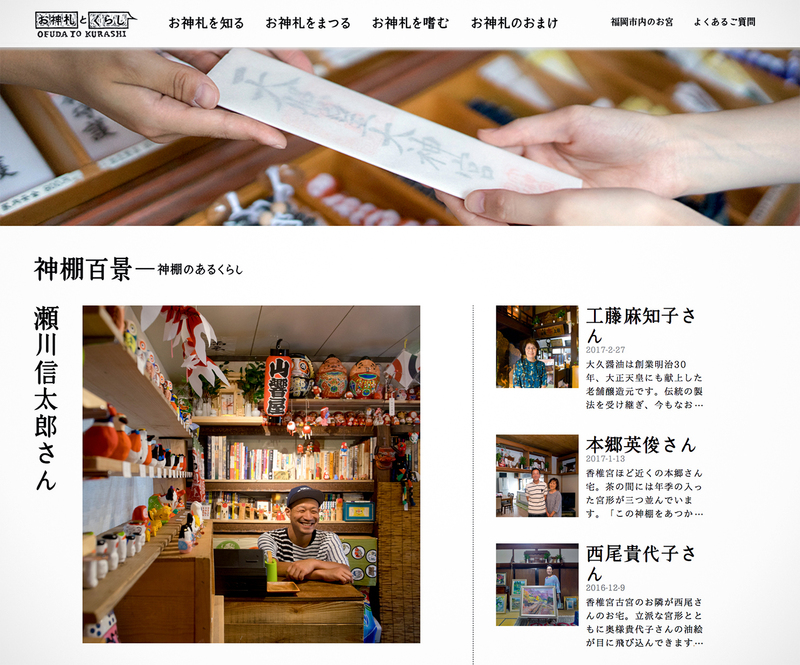 I hope that many people get into Ofuda life with seeing our site.